Things That Will Make Your Flight Attendant Hate You. When did “please” and “thank you” disappear from air travel? Seeing how people behave toward flight attendants these days. You now have to deal with the infamously long lines at security. But that doesn’t mean that you should check your manners along with your luggage. With the scarcity of free snacks being offered by airlines, every packet of pretzels is a gift to be treasured. I know you are angry that we don’t have gluten-free snacks, but be responsible for your own health and bring your own options. 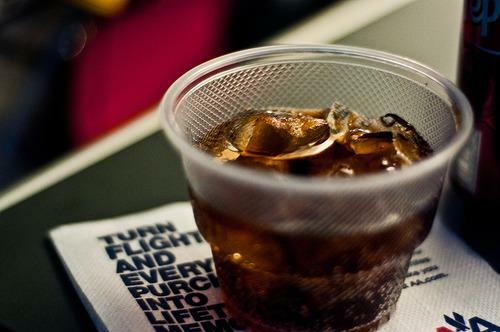 Show a little gratitude upon receiving your frosty beverage.When I hand you a drink, don’t just nod or point at your tray table. I am a human being, and I would like to be acknowledged. If someone is kind enough to swap seats so that you can sit with your bestie the least you can do is show a little appreciation. The majority of airlines allow you to book your seat in advance, and I know that sometimes you get split up from your family. We try our best to accommodate you when we are able. "Yes, I love lifting heavy things so you don’t have to." YOU need assistance stowing your bag?! I climb on the seats like a monkey to rearrange other bags for YOU, and wow, I don’t even get a thank-you. "Oh, you wanted two medium-sized ice cubes? Coming right up!" When I offer you a beverage, I always provide you with ice unless you specify otherwise. “You can catch more flies with honey?” No? Well, let me put it in layman’s terms for you: Being polite and pleasant to your flight crew will get you a lot more while up in the air than being a thankless diva.